After the jailing of her father when she was five, Josie Jaimes found herself being moved from one undesirable home to another. That is, until she fled her life of foster mothers to take shelter within the Thieves of the Flame, which soon became her one true home. 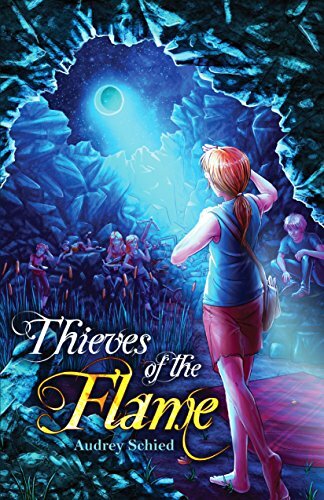 Along with juvenile Gladys, curious August, spunky twins Scarlett and Erica, and their short-tempered but serious leader Drew, the Thieves thrived in a life stealing from the society that had outcast them. All of this changed with the discovery of a 200-year-old journal, creatures crafted from shadows and nightmares, and a secret their island home had been holding since the dawn of time. Josie finds herself within the company of the mysterious Crow of Omens, struggling to stop her fears from breaking beyond the surface, and wondering, in times of extreme danger, whether she should flee or fight.